Get a subscription to The Scots Magazine - The world's most widely-read Scottish interest publication. The Scots Magazine is a handy-sized magazine filled with in-depth features and stunning photographs that capture the essence of Scotland. If you want to know more about Scotland - the history, the heritage, the people and its past, the Scots Magazine will take you there. The Scots Magazine is the oldest magazine in the world still in publication. It was first published in 1739 and has been owned by DC Thomson & Co Ltd since 1924. Over the years The Scots magazine has evolved into a colourful, authoritative, thought-provoking monthly periodical with many thousands of readers worldwide. 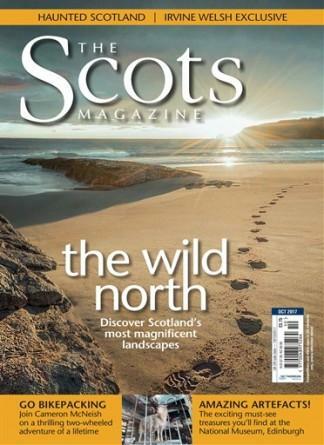 Each issue of The Scots Magazine provides everything you want or need to know about the country, the people or the culture. Keep Scotland in your pocket with a subscription to The Scots Magazine. It is a lovely magazine for people who love Scotland. I love the newer size, as it is easier to read. Great stories, and my Dad loves it. The front covers are great. Love the fact that the place is always on a map.